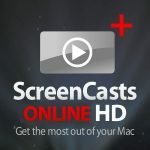 You can see the entirety of keyboard shortcut segment without subscribing to SCO, but you’ll have to sign up for the 10-day free trial or buy a subscription to ScreenCastsOnline to watch it through to the end and see his discussion of Default Folder X. And if you go for the subscription or free trial, make sure to check out his full-length Default Folder X tutorial. 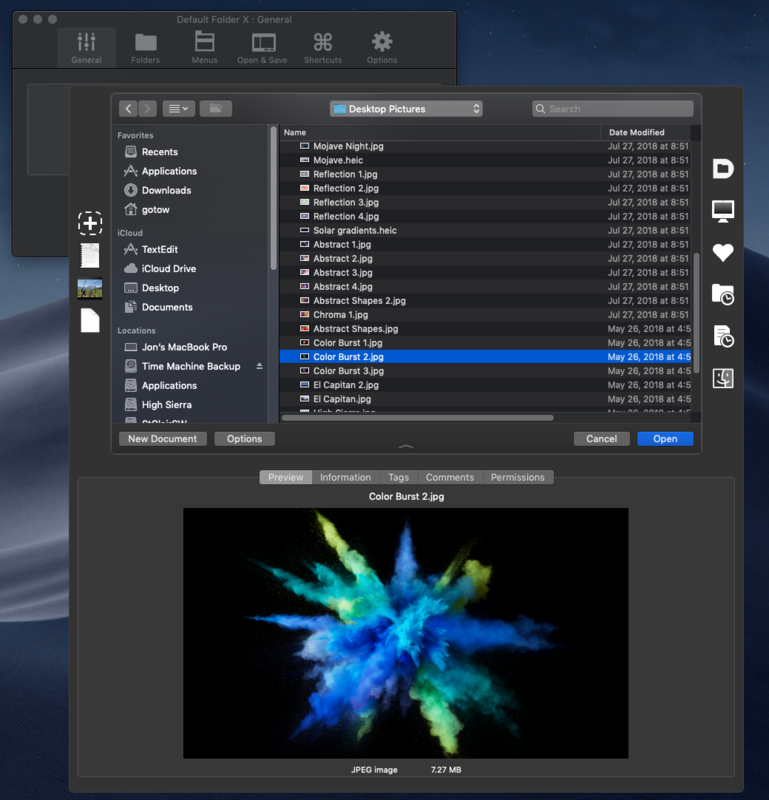 The latest public beta of Default Folder X, version 5.2.6b6, supports Dark Mode in Mojave and all changes up through the latest developer build (Mojave developer beta 7). In addition, this beta release allows you to create separator lines in your Favorites menu to help keep it organized and easier to use. Just choose on “Add Separator Line” when you click the ‘+’ button in Default Folder X > Preferences > Folders > Favorites, then drag the separator to wherever you want it in your list of favorite folders. 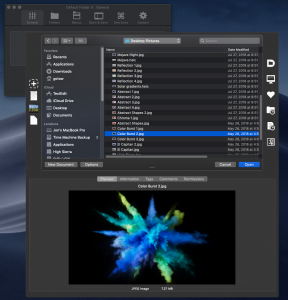 5.2.6b6 also addresses a bug when relaunching the Finder, improves the behavior of DFX’s drawer in the Finder, and adds a compatibility fix for Newtek’s LightWave applications. Get all the details and download your copy from the Default Folder X Beta Testing page.